The Amara Dress captures the fun and beauty of falling petals. 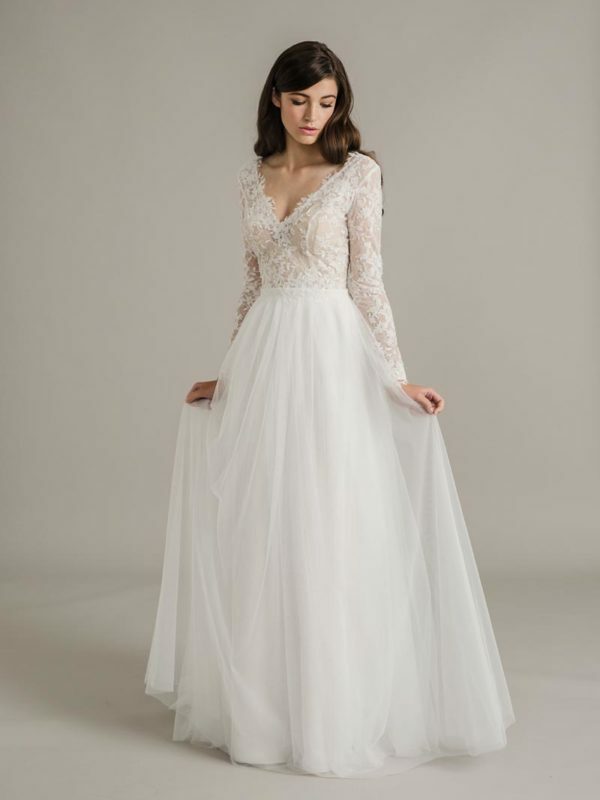 The lovely lace flowers on the bodice trickle subtly down the skirt, so you half expect to see a trail of them left behind as the bride walks. The underskirt is fitted to highlight your shape, while a full soft sheer over skirt gives volume without hiding the beauty underneath.